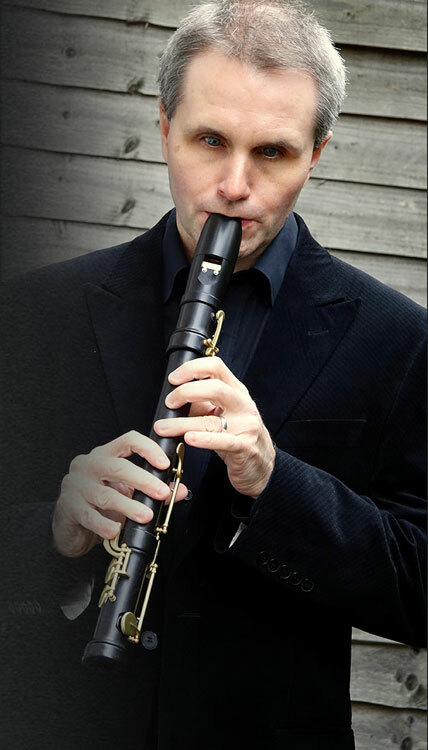 Recorder player James Risdon enjoys a varied musical existence reflecting his eclectic tastes and repertoire that span the Middle Ages to “wet on the page”. His debut album of music for solo recorder entitled Echoes of Arcadia plots the recorder’s history from the pleasure garden to the jungle, ethereal to electronic. He has performed at King’s Place, St. Martin-in-the-Fields, Regent Hall, The Handel House Museum and the Treasury Music Society in London. In 2015 he enjoyed his debut appearance at the Wigmore Hall in a concert celebrating the Elizabeth Eagle-Bott memorial fund which has supported James’s studies. In 2016 he appeared with theorbo player Matthew Wadsworth on the Proms Extra programme on BBC2. He has appeared as soloist with the Prague Chamber Orchestra, Czech Virtuosi, London Musici alongside Piers Adams and Devon Baroque under violinist Margaret Faultless. His work with the Great British Paraorchestra under its founder and Musical Director Charles Hazlewood has seen him perform at venues including the Symphony Hall, Birmingham, the Queen Elizabeth Hall, London, The Bristol Planetarium, at a TED Talk in Brussels and at the 2012 Paralympic closing ceremony with Coldplay. More unusual engagements have included Noyes Fludde at the Bath & West showground and appearances on a pod on the London Eye, a tin hut, an eco hub, several barns and a performance for the Japanese government in Soporo. James studied with Alan Davis in Birmingham and latterly Rebecca Miles in London, gaining his LRSM with distinction. In 2011 he was runner-up in a worldwide competition for blind musicians at the Jan Dale Conservatoire in Prague. In 1996 James was a member of the Great Britain goalball team at the Paralympic Games in Atlanta. In 2003 He gained a Master’s in German translation from Leeds University. From 2008 to 2017, James worked in the Music Advisory Service at the RNIB supporting blind and partially sighted musicians. You can get in touch with James via the Contact page.